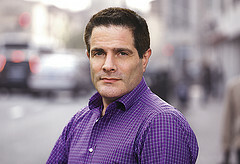 Tom Doctoroff is the leading authority on marketing in China. His successful book Billions: Selling to the New Chinese Consumer has founds its way to the shelves of almost every company working in China. Mr. Doctoroff switches in his speeches easily from a hand-on approach to a higher level, and prevents any confusion by telling again many real life stories from the dynamic marketing scene in China. Tom, born and bred in America’s Detroit and educated in Chicago, somehow took a detour to Hong Kong in 1994 and never quite made it back to the States. In the meantime, he has become one of Asia’s most respected advertising minds. His unique combination of pan-Asian work, plus nine years based in China, has made him a leading expert in the cross-border management of brand architecture and brand building. Furthermore, he is a passionate advocate of the iron link between brand equity and long-term profitability. Having started his advertising career at Leo Burnett (Chicago) in 1989, Tom jumped ship and joined JWT Chicago in 1992. In 1994, Tom moved to Hong Kong as Regional Business Director, managing several of JWT’s largest multinational clients across Asia Pacific (including Pepsi, Philip Morris/Kraft and Citibank). Some of JWT China’s key clients include: Unilever, the Diamond Trading Company (formerly DeBeers), HSBC, Inbev, Ford, B&Q, Unicharm and Nestle as well as several local enterprises such as Lenovo computers, Konka mobile phones and televisions, China Unicom and Anta. Tom completed his undergraduate studies at Northwestern University (Evanston, IL) in 1985 and his MBA at the University of Chicago in 1989. You can find his recent articles here.